1. 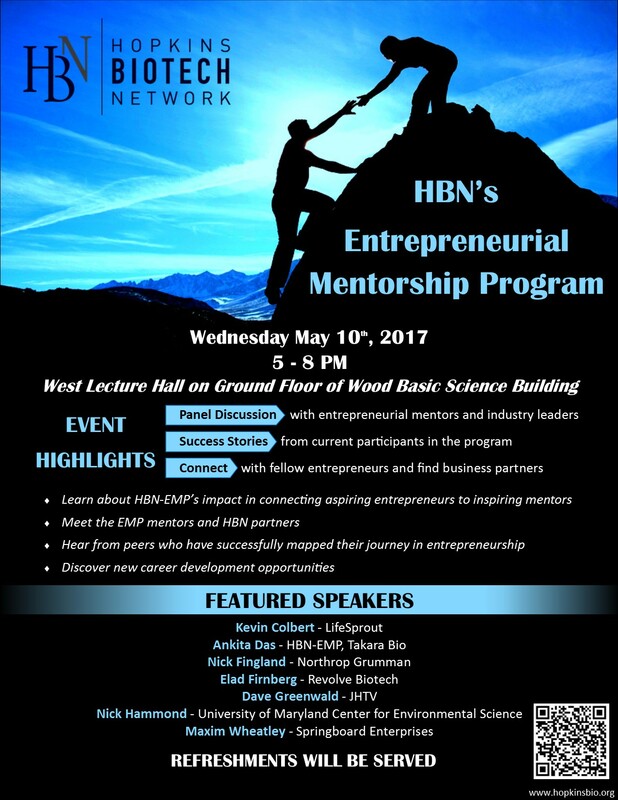 An overview on the HBN’s EMP program, updates on the program and upcoming opportunities. 2. A series of short presentations by entrepreneurially oriented groups from within the Johns Hopkins community. 3. Presentations from previous EMP mentees who will discuss their journey. 4. A panel discussion from field experts (you) who will discuss their experiences transitioning to entrepreneurship. The panel will then have a short Q & A period.